Our website designers will help you create a great website that can let your customers know who you are and what you do. 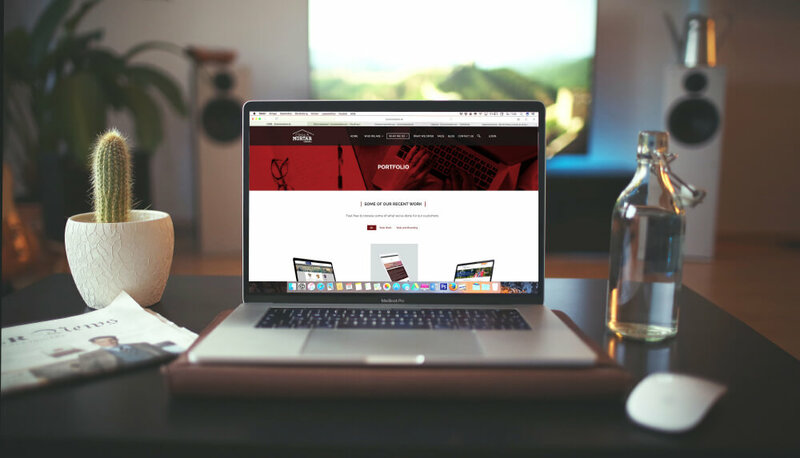 Our website designers are based in Detroit, MI and they know that a great website is visually engaging and gives a clear message to your customers. By working with us, your business will benefit from our years of expertise. So you don't live near Detroit, MI? That's not a problem! Our website designers work with customers all over the country and we can work with your business too. One of the first places that people look for information for a business like yours, are the online search engines. It's important that your website shows up near the top of those results. In order for that to happen, your website needs to be optimized for the search engines. Our team of website designers and search engine optimization experts understand this and have been working with businesses in the Detroit, MI area to achieve this. We understand how important that is for your business, and the website that we build for your business will be optimized with the search engine best practices in mind, that’s why we've included search engine optimization in our website packages. We build all of our websites with this in mind. Our website designers have been serving business in and around Detroit, MI and we would love to help you take the hassle out of having a great, professional, mobile friendly website. Contact us today to find out how we can help your business! What is "SEO"? It simply stands for Search Engine Optimization. It's the process of getting "free" traffic to your website. There are 2 primary ways to drive traffic to your website, free and paid. Driving traffic to your website through means that don't cost you more money is how we like to help you get found online. The major search engines like Google, Bing, and Yahoo catalog the content and resources in their massive databases, and when you enter your keywords they display the content or local listings that are most useful to you. What we do to help you get found online, it to optimize the pages of your website so that the content on each page targets the keywords and phrases that your ideal customers would be using to find what you have to offer. By taking this approach the search engines are more likely to display links to your website and your content bringing potential customers to you. Search Engine Optimization is important because it helps to make your website easier for users and search engines to understand. SEO makes your website easier for search engines to be able to understand what the different pages of your website are about and that helps users because the search engines are able to show users information that will be useful to them. Let us help make your website easier for search engines and users to understand by choosing the right website package for your needs. There was an independent survey done in late 2012 by Google where over 1000 mobile users were asked what they want from mobile friendly websites today. A majority, 67%, said they would be more likely to purchase from a site that was mobile friendly. Another interesting fact about this survey is that 61% of users said that they would move on to another website to find one that’s mobile friendly. These simple facts show how important that your Detroit business has a mobile friendly website. If people are leaving your website because it’s not mobile friendly, where are they going? At Clicks & Mortar we’re passionate about helping our local Detroit, MI businesses create a great mobile friendly website and keep users on your site instead of sending them to the competition. Not having a mobile friendly website, especially in Detroit, MI will only help your competition. Users want to have a good experience online. When they encounter websites that are not designed with mobile users in mind, frustration builds and they are less likely to return to your website even if they like your company. Of the mobile users that were surveyed, 74% said that they would be more likely to return to a mobile friendly website that they’ve visited. Often, users will keep searching until they find what they’re looking for. If they’re using their mobile devices, mostly likely they’ll be finding what they need on a mobile friendly website. Don’t frustrate your users, make your site mobile friendly. This is such a big problem, but the opportunity for your business to capitalize is equally as big. Having a website that is not mobile friendly can do more than just cost you a potential sale. Your businesses’ brand can suffer as well. The frustration that a user experiences by not being able to navigate your website can quickly turn into negative feelings and emotions about your brand. Find out how affordable it is to let our Detroit based team build a mobile friendly website for your business and keep your customers happy. Clicks & Mortar Websites makes having a mobile friendly website affordable for small businesses. We don’t charge upfront fees like other firms do. We’ll give you the option to redesign your website every 3 years at no additional cost. So as the trends in mobile friendly websites change, whether your business is in Detroit, MI or somewhere else in the world, you’ll know that your website will look professional and be easy to use for desktop and mobile users alike. Contact us today and let us create a website for your business that’s both affordable and mobile friendly. So how much would it cost to hire someone to do online marketing in-house? Well it’s tough to give an exact number of how much it would cost, but here’s the general idea. The average salary of someone who’s doing online marketing is about $75,000/year. In addition to their salary, there may be other benefits like health insurance, vacation days, sick days, and taxes that add to the cost of hiring someone full-time. Along with the monetary costs, there’s other costs such as training and other paperwork that will need to be addressed as well. What we’ve done is create a model that allows our team to partner with you to help with your online marketing efforts. 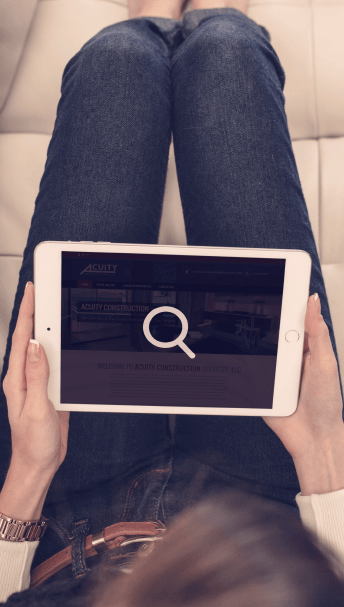 We’ll work for you and your team to help educate you on SEO so that you can better understand what we’re doing to increase visibility of your website. Why choose us to help with your online marketing efforts? We don’t take shortcuts. We follow best practices to make sure the search engines can easily understand your website. Plus, we’re affordable. We have plans for every financial stage your business might be in. Need an online presence or a professionally redesigned site? We can do it for as little at $99 per month and that includes hosting fees for your site. Want to ramp up your presence online big time with a well designed website, social media posts, blogs, and more? Our plans start at $99, a far cry from the $75,000/year a full-time employee would cost you. Remember, just because you can doesn’t always mean you should…. I could choose to cut my own hair or I could choose to have a professional stylist cut my hair. I could research what tools I need, what techniques to use and get a few wigs to practice on to learn how to cut hair. It could take me several days, weeks or months before I’m confident that I would be able to do that well. The other option is that I could take an hour to visit a professional stylist and get a great haircut. The point is that while I can cut my own hair, it doesn’t always mean that I should. I could make more money doing other things with my time than the hour it takes me and the price that I would pay a professional stylist. You do what you do better than anyone else, and we’ll partner with you and do what we do best so that you can focus on the things that matter most to you and the success of your business. Pick Your plan and get started today!